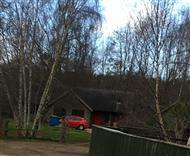 Welcome to Cottage-Choice.co.uk! We have 1000's of self-catering holiday cottages for you to choose from. We have grouped the cottages together depending on the size of the property, as well as alphabetically by holiday cottage name. So, for holiday cottages in the UK, if you have up to 5 people in your party, choose cottages which sleep up to 5, if you have up to 8 people in your party, cottages which sleep up to 8, and for a holiday party of up to 16 people, choose cottages which sleep up to 16. Klimaronock Cottage - Ref: UK11168 (Sleeps 6) : "Gartocharn, near Drymen, Glasgow"
Dwarka - Ref: UK11114 (Sleeps 4) : "Crail, near Anstruther"
Robins Retreat and West Lodge - Robins Retreat - Ref: UK11201 (Sleeps 7) : "Westhope, near Hereford"
Robins Retreat and West Lodge - West Lodge - Ref: UK11202 (Sleeps 8) : "Westhope, near Hereford"
Aiffer - Ref: UK11263 (Sleeps 4) : "Portmahomack, Highlands"
Jasmine View - Ref: UK11215 (Sleeps 5) : "Gristhorpe, near Filey, Yorkshire"
Arbuthnott Estate Cottages - Garden Cottage - Ref: UK11129 (Sleeps 7) : "Arbuthnott, near Stonehaven"
Arbuthnott Estate Cottages - Sunset Song - Ref: UK11130 (Sleeps 5) : "Arbuthnott, near Stonehaven"
Arbuthnott Estate Cottages - Grey Granite - Ref: UK11131 (Sleeps 6) : "Arbuthnott, near Stonehaven"
Arbuthnott Estate Cottages - Cloud Howe - Ref: UK11132 (Sleeps 6) : "Arbuthnott, near Stonehaven"
Jubilee Cottage - Ref: UKA452 (Sleeps 3) : "Lamlash, Isle of Arran"
Monastery Barn - Ref: UK11196 (Sleeps 6) : "Shutford, near Banbury"
Yonderton Farm - McGill Cottage - Ref: UK11182 (Sleeps 6) : "Dalrymple, near Ayr"
Yonderton Farm - Yonderton House - Ref: UK11181 (Sleeps 12) : "Dalrymple, near Ayr"
The Generals Cottage - Ref: UK11139 (Sleeps 4) : "Penallt, near Monmouth, Monmouthshire"
Sonny Cottage - Ref: UK11175 (Sleeps 5) : "Garnant, near Ammanford, Carmarthenshire"
Llys Awel - Ref: UK11166 (Sleeps 4) : "Malltraeth, near Llangefni, Anglesey"
Hewton House and Cottages - Boxwood - Ref: HBA (Sleeps 4) : "Weir Quay, Bere Peninsula"
Neuk Hoose - Ref: UK5993 (Sleeps 4) : "Crail, near St Andrews"
Lower Thura House - Ref: UK5994 (Sleeps 6) : "Bower, near Thurso, Highlands"
Three Rivers Cottage - Ref: UK11171 (Sleeps 4) : "Ingleton, near Kirkby Lonsdale"
Blaencwm Cottage - Ref: UK11144 (Sleeps 5) : "Blaencwn, near Treorchy, Glamorgan"
Potter Lodge - Spire View - Ref: UK11152 (Sleeps 4) : "Potterhanworth Booths, near Lincoln"
Inver Spey - Ref: UK11158 (Sleeps 4) : "Spey Bay, near Fochabers, Moray"
Candlelight Cottage - Ref: UK11184 (Sleeps 2) : "Cromford, near Matlock"
Thistlebank - Ref: UK11218 (Sleeps 6) : "Banton, near Kilsyth"
Curlews - Ref: UK11225 (Sleeps 2) : "Buryas Bridge, near Penzance"
The Old Barn - Ref: UK11228 (Sleeps 4) : "East Brent, near Burnham-on-Sea"
Birkwray Farm Cottage - Ref: UK11239 (Sleeps 4) : "Outgate, near Ambleside"
Dol Y Clochydd - Ref: UK11244 (Sleeps 8) : "Llanfachreth, near Dolgellau"
Merchant House - Ref: UK11362 (Sleeps 8) : "Kessingland, near Lowestoft"
Know the name of your holiday cottage? 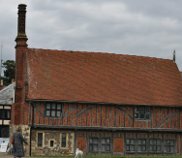 If you know the name of the cottage you would like to see more information on, you can select cottages alphabetically; choose from holiday cottages starting with : A-B, C-D, E-F, G-H, I-J, K-L, M-N, O-P, Q-R, S-T, U-V, W-X or Y-Z (and all other holiday cottages). Alternatively, you can select your cottage by county. 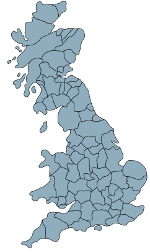 So if you know the county you wish to holiday in, you can find a cottage by searching by county. For the latest in special offers and late deals, have a look at some cottage holiday offers we have featured. Choose your preferred county, and we'll show you the offers available. If you're interested in a holiday villa, we can help there too. We feature holiday villas in all the popular countries around Europe, including Balearic Islands, Canary Islands, Corsica, Crete, Croatia, Cyprus, France, Gozo and Malta, Greece, Italy, Portugal, Spain and Turkey. So if a private villa in the sun is something you quite fancy, have a look at the villas here. If you're looking for a golfing break, or just want to get in a couple of games on your cottage holiday; have a look at some of the cottages near golf courses. Just choose your golf course, and we'll show you cottages which are nearby. Looking to take your dog on holiday? Have a look at these pet friendly cottages. Choose the area you wish to take your holiday, and all the holiday cottages where pets are allowed will be displayed. Your pet is one of the family too, so you don't want to leave them at home. Choose a cottage which is pet friendly to assure they can go too. 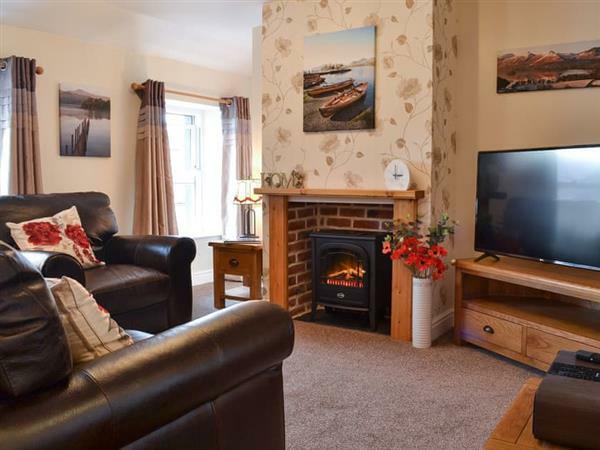 Search for a holiday cottage near a town or attraction, just type in the place you want holiday near, and we'll show you all the holiday cottages which are available. There's about 10,000 towns and attractions listed, so wherever you want to take your cottage holiday, the chances are they'll be something for you. 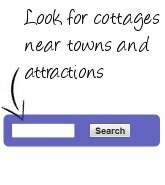 Try the cottage search page, and see what you can find. 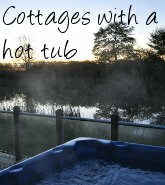 For an extra special cottage holiday, choose a cottage with a private hot tub - a hot tub can really give you a relaxing break. Just think about laying up to your neck in lovely hot water, and watching the sun go down with a glass of wine in your hand. And what's really good about a hot tub, is that you can use one whatever the weather. Even if you've got snow on the ground, you can still make full use of your hot tub; if a hot tub holiday is something which takes your fancy, have a look at cottages with a hot tub in: Eastern England, Southern England, South West England, Central England, Northern England, Scotland, Wales and Ireland. 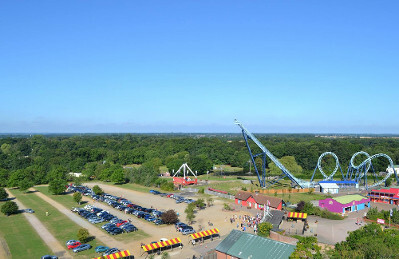 We regularly have a "featured attraction", and at the moment the attraction is: Pleasurewood Hills Family Theme Park in Lowestoft, on the Suffolk coast is a family day out with a variety of rides and attractions to suit any member of your family. Have you considered a lodge holiday? 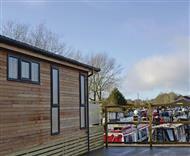 Holiday lodges are set in quiet surroundings, and can be the ideal way of enjoying a relaxing few days away. Whether you're after a lodge in Cornwall or a lodge in the Scottish Highlands - or anything in between; it's worth having a look at the holiday lodges featured. If you want to holiday with friends or family, and are looking for a large holiday cottage, have a look at the large cottages featured here; you'll find plenty of choice all over England, Scotland, Wales and Ireland - just choose the area you want holiday in, and we'll show you all the large holiday cottages available. There are plenty of choices of holiday companies out there, so who should you choose to give you your next holiday? We're compiling a list of holiday companies for you, so to start with, have a look at Hoseasons, Villas4You, Villa Choice, Cottages 4 You, Helpful Holidays, Thomson Holidays, Imagine Ireland, Coast and Country, or James Villas. All these companies can provide you with a villa or cottage holiday - with Hoseasons and Thomson Holidays also providing a range of other holidays too. If a hotel or package holiday in a sunnier climate is more your thing, take a look at Sunshine.co.uk for holiday bargains.